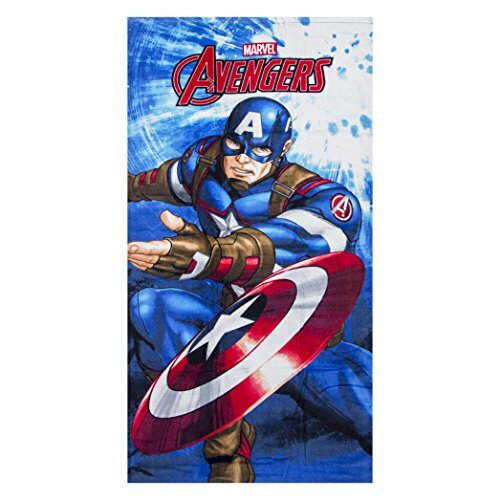 Official & Licensed Avengers Merchandise. Microfiber absorbs almost 5 times more water than cotton. The towels can absorb up to 7 times its weight. That's why it works perfectly as beach & travel towel and why it dries off so fast. Even more impressive is how fast you can dry the towel itself after use. Just hang it outside for a few minutes and you can quickly use it again. Not just a gorgeous bath towel ! Use it for park picnics, yoga & meditation & poolside lounging. Towel Size: 27 X 55 Inch (68 X 140 CM). Gentle Wash with Liquid detergent if possible.